Brock CareerZone Blog: On-Campus Jobs for Next Fall - Start Looking Now! The time to look for next falls on-campus jobs is now! A common mistake we see at the Career Resource Centre is that students will come into our centre in September looking for on-campus jobs for the school year. 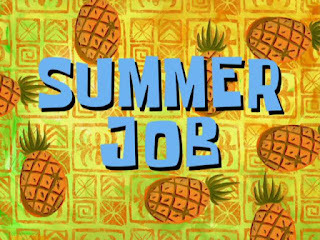 However, these jobs actually hire for those positions in the Winter semester prior! Therefore it is important to start looking now - some jobs have already been posted, and some jobs have already been hired for. If you want to work on-campus during the 2015-2016 school year, now is the time to apply! Here are some places to apply that will be posting on these websites! Remember, Career Services can help you every step of the way. We can review your resume and cover letter, help you apply to jobs on CareerZone, and even help you with your interview skills! By taking advantage of our services and taking our advice you increase your chances of getting a job. Good luck applying to on-campus jobs!